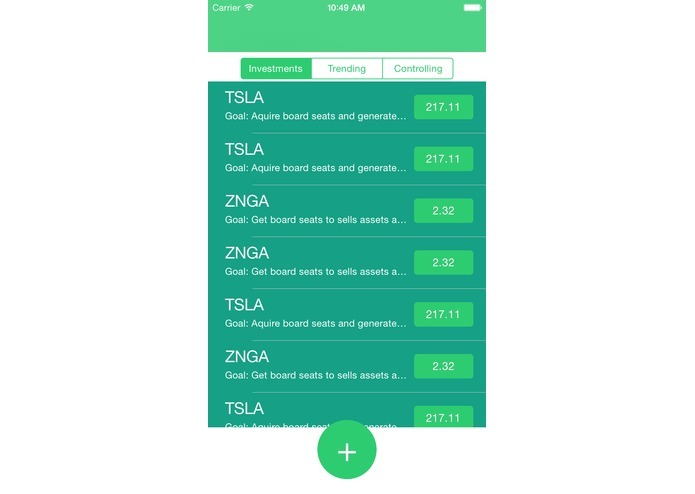 We wanted to crowd source power for the average day investor. Step one was building a way to let users buy and sell stocks. Instead of building our own, and interested in zero commission trading, we sniffed and reverse engineered Robinhood's private APIs. Step 2 was writing a layer in python over the private APIs to allow us to tailor the resulting data / API commands to our platform's needs. Step 3 was building an iOS client to let groups of people to purchase stocks and crowd source initiatives through our platform.